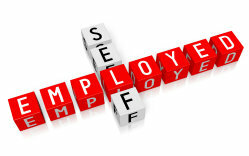 • Self Employed - 1 Year or Less - Maximum Income Multiples - Maximum Loan Size ! Just a sample of what we offer : we have many more! you can borrow - without any tax implications since it is not dividend income ! • Contractors - we have lots of contractor options - contact us today! • Use your latest profits - these are usually your largest profits - enabling you to borrow more ! 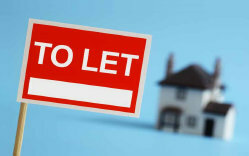 Right now buy to let rates & fees have never been so low - this is due to lenders fighting hard to grow their share of the very competitive buy to let market. Borrow up to 85% - very competitive rates - free quote no obligation! Use Rental Income Only ! • Yes! - All Bad Credit Considered - Contact Us Now ! Buy to Let Self Cert Mortgage Alternatives - Use Rental Income Only ! it all before and managed to achieve great success rates! are all considered - plus many more. Self Cert Mortgages - We're Here To Help You ! 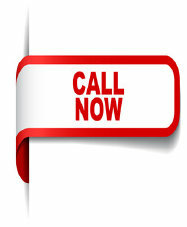 Free from Mobiles and Landlines - Call Us Today! "Thank you very much for this, you've done something that many have failed to do!!!" "I am pleased to inform you that our mortgage has been completed today. I am immensely grateful for all your support and level of professionalism. Again, you have shown excellence at its best!." "It was by luck that I came across Red Brick, we had tried everywhere with no avail. From the first contact it has been totally stress free! A very approachable and personable team. With a picture of not being able to move for the betterment of my family to dreaming of shopping for our new home, it is down to this company in making it a reality. 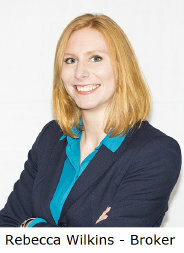 I have done and will continue to recommend them as the only port of call." "Not a straightforeard case Sean has worked hard to try to secure my mortgage all the work he put into my case looks like its going to be worth it would definitely reccommend red brick and will be using them in the future thanks Sean"
"RedBrick Mortgages helped me to sort out my mortgage which was on a tight deadline. They made it possible to issue our offer in under 2 weeks. We can't thank them enough." What is a self cert mortgage? As you might guess from the name, a self cert mortgage meant that the borrower detailed how much money they earned when they applied, without providing any supporting documents, effectively self certying their income. They were primarily used by self-employed people with income from different sources and those with a low salary but with high commissions etc, so the self cert mortgage was a good solution. Self cert mortgages are still available from lenders in Europe but if you choose to go down the self cert mortgage route, then the recommendation from the Financial Conduct Authority (FCA) would be that you get plenty of advice beforehand from a reliable UK mortgage expert. How to find the best self cert mortgage in Europe always use a broker based within the UK to obtain your European self cert mortgage. They are harder to find and not usually advertised. Our mortgage brokers specialise in all mortgage areas, including self cert mortgage alternatives - self employed - buy to let and bad credit mortgages, they will be able to explore the whole of the market, and provide you with your range of options. By exploring your options with our specialist mortgage brokers, who have expertise in all mortgage areas, you may find that you do not require a self cert mortgage at all. That our brokers are able to offer you a self cert mortgage alternative that will enable you to proceed with your mortgage right away. It is by accessing specialist lenders - who are able to offer flexible self cert mortgage alternatives - that our expert brokers can aim to solve your issues and enable you to proceed with your mortgage!